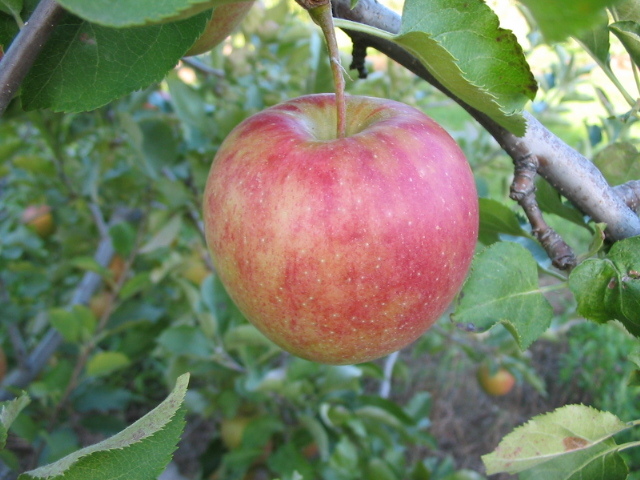 Parents of this apple, Jonathan and Golden Delicious, show up frequently in modern American apple breeding. This may be because of relative availability of seed. It may also be because of the higher percentage of decent seedlings you get from either parent. Jonagold is an all-purpose variety that is occasionally grown commercially in central and southern Maine. Its summery, soft flavor is very pleasant and refreshing. Recommended for fresh eating and for sauce. Stores only until December.